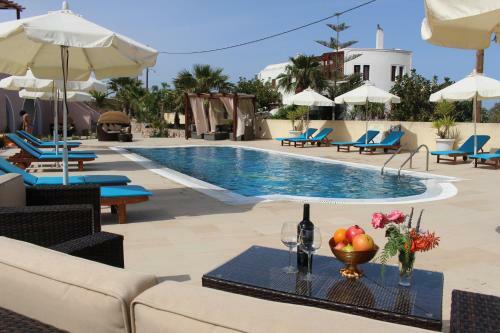 Boasting an outdoor pool with sunbeds and umbrellas, the Cycladic-style Villa Arlene is located in Messaria Village. Offering a ceiling fan and air conditioning, the guestrooms open out onto a balcony with views of the colourful flowers, pool or sea. Decorated with whitewashed walls, each room features a satellite TV with cable channels and a mini fridge. A shower is included in the bathroom. Wi-Fi is free in public areas of Villa Arlene. The popular town of Fira is at a distance of 3 km. A bus stop is conveniently located within a 1-minute walk. Private parking can also be found on site.